I have often frequented trips down to the coast, to marvel at the (same old) sights of (sometimes) sunny Great Yarmouth. Whether with my best friend or my boy friend, the drill never changes. Now, don’t get my wrong, I wouldn’t change the caravanning holiday experience one little bit- I love it! But there is one thing which has continued to strike me as I’ve gotten a little bit older. I’m sure, those of you who have also enjoyed this genre of holiday, are all too familiar with the arcades. The penny-pinching arcade games that tease you with losing streaks, but somehow you don’t stop playing. 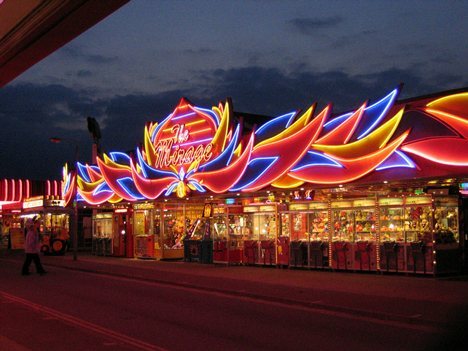 The buzz of the flashing lights, awful electronic American accents announcing when you have finally won a prize and the sirens and sounds you’d associate with a fairground ride. We all love a bit of the beach arcade, but last time I returned from one of these holidays, I noticed something. As I was walking down the high street on a grey, drizzly standard Bedford day, I passed an arcade that I’d never ever really given much thought to. 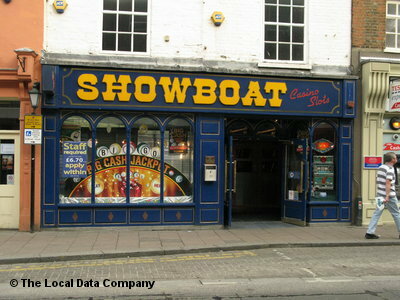 Showboat, it’s called. And it looks dingy, grey, a sticky kind of dirty. Do you see what I mean? In fact, it looked incredibly seedy, cheap and tacky. Standing outside were three Eastern European men, beers in hands, blocking the entrance. Now, I know we aren’t at the seaside, and Bedford is categorically different to Yarmouth, but the whole fascination and iconic feel surrounding the arcade had disappeared. I didn’t want to go and grab-a-toy. Nor did I want to push pennies. Or even have a go on the dance mat. This wasn’t a fun arcade. I don’t want to go in there. I don’t know why, but it’s just not right to have an arcade not on the beach. Arcades should be strictly seaside fun. Not high street dives. effort to produce a really good article… but what can I say… I procrastinate a lot and don’t manage to get anything done.